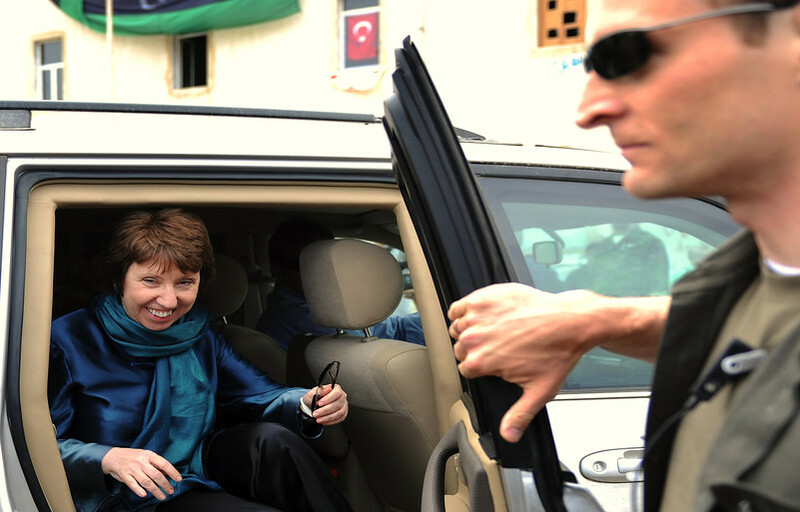 Catherine Ashton's EU foreign service recently gave its biggest security contract to a company with a frightening track record. Then they took it away again, posing questions on the professionalism of her staff. Ashton's spokesman said on Tuesday (16 April) that Page Protective Services (PPS) will not be guarding EU diplomats in Kabul over the next four years. He said it lost the contract "because the winning bidder [PPS] has not demonstrated compliance with the necessary conditions." He added the EU foreign service "has therefore decided to close the tender without awarding the contract and to engage in a negotiated procedure with the companies involved." The news comes as a shock to the other bidders - Canadian firm GardaWorld, French company Geos and British-Emirati firm Sabre International - after Ashton's head of field security, Mike Croll, went round telling them that PPS got the job. It also comes as an embarrassment to PPS, which told media in March that it won the deal, worth up to €50 million - by far the biggest in the EU's diplomatic security portfolio. It remains to be seen whether PPS will lose an €8 million contract to guard the EU mission in Gaza and the West Bank as well. PPS has been doing the Kabul job since 2008. It did Gaza/West Bank between 2005 and 2010. It also won the new Gaza/West Bank tender for the next four years. But Ashton's spokesman said the official publication of the EU's Gaza/West Bank decision is being delayed due to "a technical error." Question marks over PPS' credibility first emerged in a story in French daily Liberation in March 2010. Citing an ex-PPS guard, it said the firm failed to supply the right armoured jeeps, bullet-proof vests and automatic rifles in Kabul. It also said PPS invoiced the EU for 18 guards, even though some of them had been temporarily laid off while they took their holiday. It quoted an EU official as saying that if anyone is guilty of wrongdoing, then "heads will roll." It quoted a second EU official as saying "the situation has now improved" in terms of equipment and that the EU will "proceed with recovery of the sums unduly received." But internal EU documents seen by this website show that heads did not roll, the situation had not improved and over €600,000 of EU taxpayers' money was never recovered. The documents also show there were security lapses in Gaza/West Bank, that the alleged over-invoicing went further and that PPS tried to slip out of paying tax in Afghanistan and Israel. According to article 106 of EU rules on public tenders, a company should be excluded from future work if it is "guilty of grave professional misconduct," if it is "not in compliance with their obligations relating to the payment of social security contributions or the payment of taxes" or if it has been "subject to an administrative penalty." The internal EU documents pose the question whether PPS was eligible for the new Kabul and Gaza/West Bank tenders in the first place. Let alone how they won, before Ashton's people suddenly changed their mind. For its part, the European Commission - which managed foreign delegations before the European External Action Service (EEAS) was born in December 2010 - was aware of the Kabul problems before the Liberation story. In a letter addressed to PPS chairman Stuart Page dated 2009, the then commission official in charge of foreign delegation security, Alberto Hasson, noted that some bodyguards had type IIIA bullet-proof vests (which would not stop a bullet from an AK47 rifle) instead of type IV as stipulated in the contract, that some guards had armour which did not fit and others had none at all. "Your company is clearly not fulfilling its contractual obligations," Hasson said. On 31 March 2010, he wrote to Charles Blackmore, the then PPS chief executive, noting that he had also failed to equip guards with the MG4A6 automatic rifles detailed in their agreement. But despite the Liberation expose, some four months later nothing had changed. In a letter on 2 July 2010, Hasson wrote to PPS again saying that malfunctioning rifles, low-level body armour and lack of intercoms in jeeps may constitute "a security risk." On 30 July 2010, the commission was still doubtful whether the armoured jeeps "could be considered as offering a protection equivalent to the B6 norm [a European ballistics standard]." 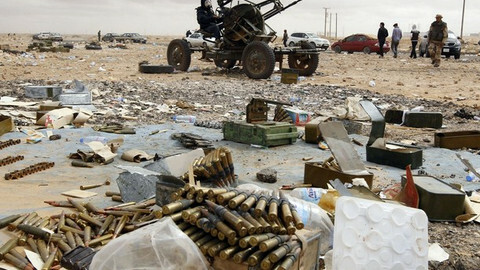 In August 2010, it noted that "PPS has only provided single shot rifles up to now, albeit 'high velocity'," instead of the MG4A6s. 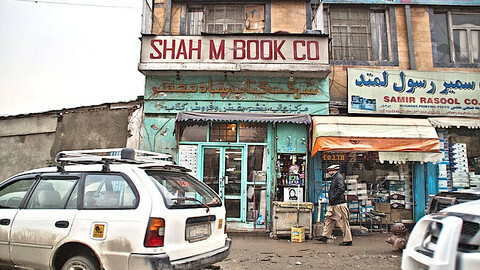 August 2010 was one year and 10 months after PPS' contract in Kabul began. Its work in Gaza also failed to impress. On 10 October 2009, the then head of the EU delegation in Jerusalem, Christian Berger, wrote to Thierry De Saint Maurice, a commission official in Brussels, to warn him: "I am … very concerned about their [PPS] actual performance." He added: "E.g. security drivers do not know their way around in the West Bank and Gaza. On several occasions I noticed that they do not pre-visit destinations and do not possess the necessary language skills required for asking the way. 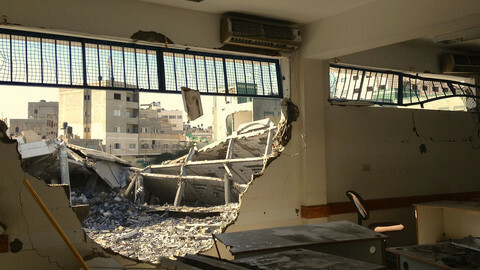 While in general there is no risk involved in the West Bank, I believe there is a high risk in Gaza." On 22 October 2009, Hasson also warned Page. "I would appreciate it if you could instruct your office in Jerusalem that the Page detail accompanying missions into the Gaza strip duly study the maps available … so as to know exactly where to lead our colleagues," he said. Life or death issues aside, the biggest irritant in EU-PPS relations was the question of almost €1 million worth of incorrect or missing "flapsheets" in Kabul. A flapsheet is a report saying which guard was on duty at a given place and time. It constitutes proof the security firm really did the work for which it invoices its client. It is filled in by the security provider, but has to be co-signed by an EU official on the ground in order to become valid. In a letter on 18 March 2010, Hasson wrote to Page to say: "I have some difficulty to reconcile the number of such posts [CPOs, or close protection officers] for which PPS Ltd has been invoicing the commission with the number which have actually been deployed in Kabul. The charge in question has been repeated in successive invoices since the start of the contract." In an internal commission memo, written after 15 April 2010, Hasson noted that eight dubious CPO posts - worth €16,800 each/month over a period of 18 months - had been paid for, but that they were red-flagged by commission auditors. On 6 June 2010, Hasson drafted an internal note about his phone conversation with Page earlier in the day. According to his transcript, Hasson told Page: "We are under close scrutiny. I have to make sure that everything is in conformity with applicable rules - copies of the licences, flapsheets … 40 percent of flapsheets are missing." On 2 July 2010, Hasson warned PPS again that it is breaching its contract by "lack of standard and systematic reporting." For its part, PPS said the contract is unclear on what kind of paperwork it should submit. It told Hasson on 8 July 2010, that "flapsheets for Kabul are available for the period September 2009-June 2010 … but represent a package 75cms thick, does the commission really need to have copies of these available in Brussels or will this be a pointless and expensive exercise?" It added: "We have sent you records of leave/duty for four sample months, is that now considered to be insufficient? We have no other records." The commission in a later "Action Plan" on Kabul criticised PPS' attitude. "As can be seen from the replies … our questions are systematically answered with further questions," it said. On 22 February 2011 - two and a half years after the contract began and with the EEAS now in charge - Hasson was still waiting for PPS "to justify one hundred percent (100%) of the costs charged to the commission for manned posts in Afghanistan." He never got the flapsheets in the end. It is normal for any company to try to pay as little tax as possible by exploiting loopholes. It is equally normal for embassies to give their guards temporary diplomatic status to free them from potential harassment under national laws. But it is highly abnormal for security firms to exploit the status - diplomats do not pay tax in their host countries - in order to lower their costs. In an email to the commission on 27 September 2010, PPS noted that it had asked the EU envoy in Kabul, Vygaudas Usackas, to sign a "schedule of invoices." It said: "If the head of delegation [signs] a schedule of invoices for security services provided to the delegation, it [is] likely that the Afghan government would consider that the supplier of those services to a diplomatic mission would be exempt from payment of corporation tax." With a deadline for payment of a €32,000 tax bill looming in 12 days, the PPS email added: "The matter is now urgent." It is unclear to what extent PPS exploited the loophole. But its tax arrangements in Gaza/West Bank were also creative. On 29 June 2010, Hasson wrote to PPS asking for "evidence … of all social security contributions" paid to Israel between 2005 and 2010. In August 2010, he wrote again. "One month has now elapsed, and PPS Ltd has still not transmitted the requested documentation. As you might know failure to fulfil [tax] obligations … [shall] lead to the exclusion from participation in procurement procedures," he said. Hasson referred to PPS "claims that the Palestinian staff refused to make the legal social contributions and to pay income tax on the ground that they do not recognise Israeli jurisdiction over East Jerusalem." He also referred to PPS' confiscation of local staff's wages amounting to 7.35 percent of their accrued gross salary in order to pay the Israeli taxman. He added: "PPS Ltd was not entitled to withhold these sums, but if it did we request the proof of repayment that PPS Ltd did to the Israeli National Insurance Institute." By 18 November 2010, he was still waiting. He warned PPS that it "must pay its social security obligations in order to release the final payment" for the contract. He noted the firm had set aside €185,000 to pay its staff for part of the confiscated salaries, but he added that PPS must "convince the guards to drop their legal action and accept the offer" to get its EU money. PPS in the end cut a deal with its staff. But it is unclear for how much, or whether Israel got its tax. Despite the rotten relations between Hasson and PPS, EU officials let it off the hook for a €200,000 fine and for about €600,000 of suspect invoices. Following several ultimatums on the Kabul equipment problem, Hasson's patience ended. In a letter dated only "2010," but written on 2 August or shortly afterward, he said: "I intend to apply a penalty of 2 percent of the value of the invoices for the contract … [which] amounts to €218,008.36." If PPS had paid the fine, it would fall foul of article 106 of EU rules on tender exclusion of firms which have incurred an "administrative penalty." But Ashton's spokesman told this website on Tuesday that "PPS has not been asked to pay any fine for non-compliance." It also did not pay what the EU said it owed on the invoicing problem. An EU paper entitled "Steering brief for phone conversation with Stuart Page" which is undated, but which was written after 24 February 2011, noted: "Following the analysis of the auditors, one amount concerns over-invoicing based on the flapsheet records … and a second amount for posts in respect of which there was no flapsheet evidence." It added: "The total amount to be recovered is €924,431.60." 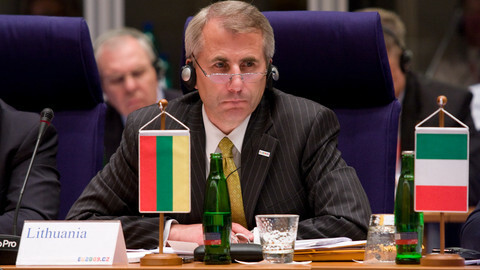 The then head of EEAS foreign delegations, Patrick Child, on 4 October 2011 sent Blackmore a "draft settlement agreement" valid under the law in Belgium, the EU institutions' host country. The draft contract said: "The parties agree that PPS shall pay the EEAS the lump sum of €316,985.80 … by way of compensation for damage suffered." The "amicable" settlement noted: "It is expressly understood and agreed, as a condition thereof, that this agreement shall not constitute or be construed as an admission of any wrongdoing or liability … Therefore, this agreement is without prejudice to the wider relationship enjoyed by the parties, and to any other provision of security services, past, present or future, by PPS to the EEAS." It added: "The parties shall keep the content and existence of this agreement confidential." The EEAS later confirmed that the contract was signed. In its answers to recent questions by the European Parliament's budgetary control committee, it said: "€316,985.80 has been recovered from the contractor on the security contract for the EU delegation in Afghanistan." In an internal email dated 27 April 2011, an EEAS legal adviser shed some light on the motives behind the deal. The EEAS lawyer noted that "he [Child] and I have discussed before the overriding concern that provision of security services in Kabul is not disrupted" in the event of a legal battle to get all the money back. The "Steering brief for phone conversation with Stuart Page" sheds more light. It warned that a legal battle with PPS would entail the auditing of all its activities in EU delegations, including other work in Haiti, Saudi Arabia and Sri Lanka, going back to 2005. "The average cost of an [EU] official's time is €127,000 a year and the costs of auditing … will certainly consume some man years of time," it said. It also indicated the settlement was designed, in part, to protect PPS. It said: "The issuance of recovery orders … may cause cashflow problems for PPS." With the firm making most of its money from EU work, it added: "[legal] contention between the EEAS and PPS could lead to the exclusion of PPS from future contracts - this could mean the end of trading for PPS." It is not the only time that EU officials had PPS' interests at heart. The original Kabul tender in May last year said that only firms with a turnover of more than €20 million a year and more than 400 staff can apply. British records show the London-based PPS had a turnover of some €14 million last year and has just eight permanent staff (it works by hiring locals or mercenary-type guards, such as Nepalese Gurkhas). But the EEAS later tweaked its tender with a "corrigendum," clearing the way for the PPS bid. 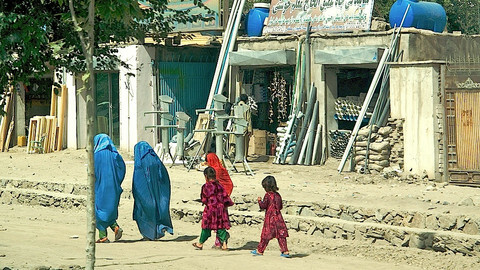 A four-page "accommodation agreement" on Afghanistan signed by Croll and Page on 1 June 2012 also said the EEAS will give PPS the use of 16 furnished flats and an unfurnished house with room for 70 people. PPS was to pay for servicing costs, gas and electricity. But it got the properties rent-free. Despite the current fiasco on the Kabul tender, the story paints some EU officials in a good light. Hasson was a gadfly on Page and Blackmore over the safety of EU diplomats, on correct spending of EU funds and on the rights of Afghani, Nepalese and Palestinian workers in harm's way. He moved from the commission to take charge of EEAS field security following the creation of the foreign service. He retired in mid-2011. But before he left, he helped the EU to recruit Croll, a security chief in the British foreign office and a former British soldier with a distinguished record, to take up his EEAS post. Croll has already had one setback in his EU career. In May last year, he awarded a €10 million EEAS contract to another British security firm, G4S, in Libya despite the fact it did not have a permit from Libyan authorities. He had to bin it a few months later, prompting enquiries by the EU anti-fraud office, Olaf. In Ashton's hierarchy, Croll reports to Frans Potuyt, a former Dutch ambassador to Kazakhstan, who was appointed as the EEAS' overall head of security despite the fact he has no security experience. Potuyt in turn reports to Child, another Brit, who moved from the commission to the EEAS and who now runs Ashton's "administration and finance" department. For his part, Child oversaw the awards of the new Kabul and Gaza/West Bank jobs to PPS despite full knowledge of past problems - he drew up the "amicable" settlement which let it off the hook for €600,000 and he is CCd in several of Hasson's letters. The EU documents paint PPS chiefs in an unattractive light. Blackmore, another former British soldier, left PPS last year. But Stuart Page, a former counter-terrorism specialist in the British police who also served in the British army, in any case has a hot temper. The transcript of his phone conversation with Hasson in June 2010 refers to Page's allegations that EU in-house security people in Kabul do not know what they are doing. At one point Page remarks on EU officials' "naivety" about the risk of attacks by the Taliban, the anti-Western rebel force. He adds: "I am talking formally to you. Enough is enough. We gave you a letter, please listen to us. We have a very experienced team (including intelligence assessments of the threats). We have a reputation as being one of the best companies. We bring credibility for the commission. PPS is a high calibre company and no one is thanking us." His opinion that PPS brings "credibility" to the EU is not shared by everybody. Berger, an Austrian diplomat, who last year moved from his post as EU envoy in Jerusalem to run Ashton's north Africa and Middle East section in Brussels, said in his letter back in 2009 that British and US diplomats in Jerusalem criticised PPS' treatment of its Palestinian workers. "Guards at other missions (the UK and US consulate-generals) have expressed their dismay about the treatment of 'EC' (i.e. Page) security staff by their management," he noted, with "EC" referring to the European Commission. He said: "On one recent occasion I had to intervene with the Page international security co-ordinator not to verbally abuse EC local staff." He also said: "There are allegations that Page is not issuing proper contracts … is withholding pay and allowances, is not respecting local law on leave and recreation, is not respecting legislation on official holidays, is not/was not respecting limitation in working hours … allegations of lack of insurance, abuse of commission-issued equipment such as patrol cars for private purposes." Berger added: "All of the above has led to reputational damage for the commission." Ashton's spokesman declined to say when Croll, Potuyt and Child made their U-turn on the new Kabul tender and PPS or what they suddenly deemed to be PPS' non-compliance "with the necessary conditions." But it probably happened after 14 March, when PPS told EUobserver it had won the job, and it happened in the context of increasing outside pressure. For his part, Hasson alerted Olaf to the fact that something fishy might be going on already in 2009. A spokesman for the anti-fraud office told EUobserver that it "opened an investigation concerning a security contract with the EU delegation in Kabul" and that "the investigation was closed on 24 January 2013." He added that it has also "opened an investigation concerning a security contract with the EU in Gaza/the West Bank," which remains "ongoing." He did not name PPS or mention the result of the Kabul probe, citing house rules on confidentiality. But he noted that it is up to the EEAS to take follow-up action. In its official statements, the EEAS gave the impression that Olaf has given PPS the all-clear. In its reply to the EU parliament's budgetary control committee, emailed by the EEAS on 8 January, it said: "The matter [Kabul] was investigated by auditors and Olaf. No deliberate attempt at fraud has been detected." It did not mention the Gaza probe. How the EEAS knew what Olaf would conclude 16 days before it closed its Kabul investigation on 24 January is in itself an interesting question. But EU sources indicate that even if Olaf did not uncover fraud, its findings on PPS were unflattering. "They decided to give the job to Page, but now they've got this Olaf report hanging around, which puts them in a very difficult position. They are shitting themselves and they don't know what to do," one contact said. 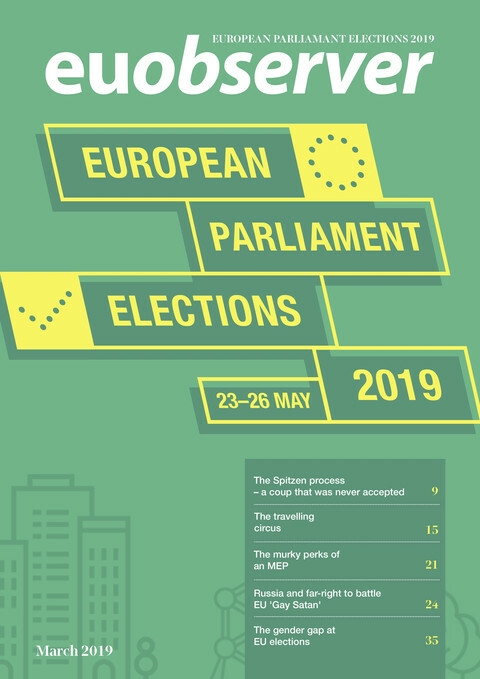 The EU parliament on Tuesday cleared EEAS spending for 2011 - the first budgetary discharge in the new institution's history. But a centre-right German MEP on the budgetary control committee, Ingeborg Graessle, turned up the heat by introducing an amendment asking how come PPS got Kabul while being under an Olaf investigation? Graessle - who has also seen the internal EU documents cited above - is now calling on Olaf to shed light on the affair. "I want to know why the settlement agreement was done, why they renounced on the sum [the €600,000-or-so] when the contract was not properly fulfilled … and why another contract was awarded," she told this website. "It seems to me that we have a long-lasting problem in the management of external relations," she added. Another MEP, German Green Franziska Brantner, who last year voiced concerns on the Libya debacle, is also calling for transparency. "I do not want to prejudge, but I believe that these instances must be investigated thoroughly and that convincing answers must be delivered," she said. PPS declined to answer EUobserver's questions. As for Ashton's people, when asked when PPS finally supplied the right equipment in Kabul, her spokesman said only that "compliance with all contracts is regularly checked and monitored." On PPS tax-compliance, as per article 106 of the EU tender rules, he said: "PPS' tax affairs are between them and the appropriate authorities." 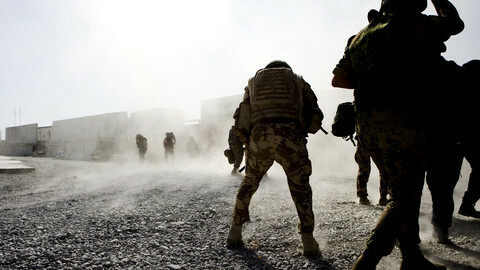 He added that the process of selecting the post-PPS security firm in Afghanistan "will take some further months." One side-effect is that PPS will continue to guard EU staff in Kabul and to be paid for it handsomely - €16,800 bodyguard/month - for almost a year after its contract was due to end. The EEAS idea to now use "negotiated procedure" - instead of reverting to the second-place winner of the tender or launching a new tender - also means less transparency. The €50 million deal will be decided in talks behind closed doors. "I'm going to be very afraid for our officials [in at-risk delegations] … and I'm very afraid for my taxpayers' money," Graessle said.